VMN-New River Valley volunteer dons wings to educate community members about pollinators and their habitat at the 2018 Hokie BugFest. Photo contributed by Judy Kirwan, VMN-New River Valley Chapter. We are busy in the VMN state office reading through the annual reports from our chapters. Chapter leaders work hard on these reports to compile the membership and volunteering statistics for their chapters and to describe some of their most impactful projects from the year. It's exciting for us to hear about their accomplishments, and it is clear that Virginia Master Naturalist volunteers are continuing to make important impacts in their communities and to benefit Virginia's waters, woods, and wildlife. In 2018, 1,994 volunteers reported more than 190,000 hours of service, over 28,000 hours of continuing education, and nearly 145,000 face-to-face exchanges of educational information about natural resources. The volunteers reported stewardship work at 446 sites across Virginia, including local, state, and national parks, local and state natural areas, trails, schoolyards, and more. Their service in 2018 is valued at more than $5 million, based on the value of a volunteer hour in Virginia as calculated by IndependentSector.org. This article was written and contributed by Alonso Abugattas, a naturalist and environmental educator in the Washington, D.C. area. and the natural resources manager for Arlington County's Department of Parks and Recreation. He has been a valuable partner and instructor for both the Arlington Regional and Fairfax chapters of the VMN program. Take a look at his personal blog "Capital Naturalist" (where this article was originally published) and Facebook group where he posts regular nature notes using his own photography. 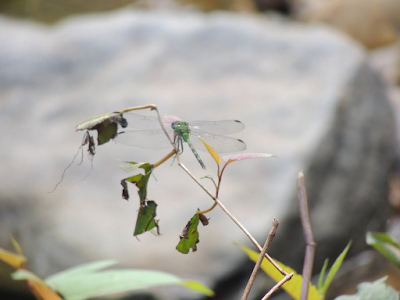 We encourage all of our VMN chapters to check out the City Nature Challenge and consider not just participating, but using it as an opportunity to organize some public events to raise awareness of biological diversity, especially in urbanized areas. VMN-Historic Rivers Chapter members participate in a 2013 BioBlitz at Pleasure House Point in Virginia Beach. Photo by VMN-Historic Rivers Chapter. You don't even need to know what you're reporting (though the iNaturalist app has a neat suggested identification feature to provide likely ID possibilities as well). Thanks to crowd sourcing, other, perhaps more knowledgeable, people can provide their ID skills. The suggested ID feature also means that you can basically have a virtual field guide of sorts to use, though it is much better at some taxa than others. The iNaturalist platform can also help users setup different projects to provide ongoing check lists and biotic inventories of parks and other surveyed locations, large and small. 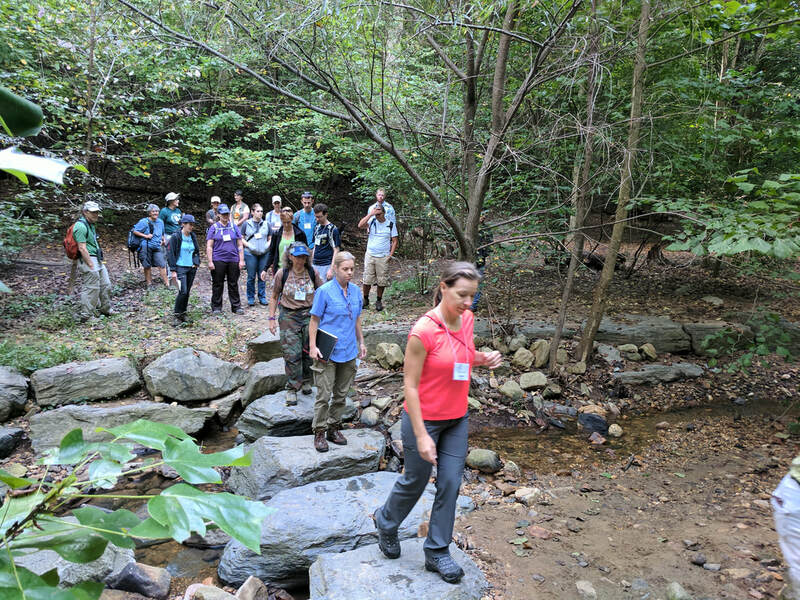 For a great summary of iNaturalist and its use in a bioblitz, setting, please check out this article and video by Steve Baragona of "Voice of America" which features a bioblitz we ran. 2019 will be the third year of the D.C. Metro Area's City Nature Challenge. In 2018 in Virginia, there were City Nature Challenges in Charlottesville and Richmond as well. More are planned for 2019! The central meeting location which many bioblitzes use can also be places for environmental groups to man booths, activity tables, conduct short presentations, games, and distribute information. Some activities can be geared for younger audiences and the novice or general audience who may just want to see some potential program or show. But the area can also serve to show people unique activities or to have unusual specimens brought back for ID and to show others. Indeed, having people bring back invertebrates for an expert to ID can prove to provide neat discoveries for the public to make. If you stagger teams and activities, people may show up interested in one thing, but be introduced into others they may not have thought they were interested in but are willing to try out. Many people my want to take advantage of an opportunity to be part of expert teams and learn from them in the field. Take for example this short look at a fungi ID team during a bioblitz and the process they used which fascinated many people who had no idea about this wonderful group of organisms. Many expressed interest in learning more about these organisms and were fascinated by the myriad of fungi they were introduced to in their local parks. 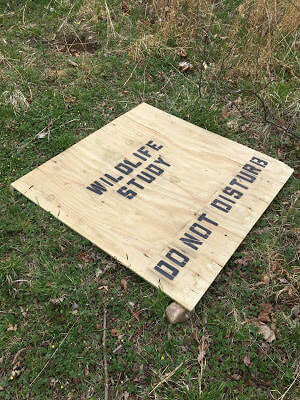 Artificial cover, such as these "snake boards" can be placed in advance of a bioblitz or as part of any biotic inventory, and can be left permanently or moved about as places to check during walks or providing additional habitat features. Photo by A. Abugattas, Capital Naturalist blog. In preparation for some the bioblitzes I’ve organized and some of the biotic inventory events I’ve been lucky enough to participate in, we made several preparations that were also good permanent or temporary habitat improvements. This included not only placing of strategic habitat logs and creating stream caves for wildlife, but we also often place "snake boards". The boards form artificial cover (and can house much more than just snakes!) and are setup in areas we then continue to use to record findings and as part of nature observation programs and walks. We’ve also used bee cup traps, a Malaise flying insect trap, live box traps, nets, seines, black lights, and different baits in the past as well, depending on what taxa we were surveying. Each offered their own program and interpretive opportunities. An electro fish shocking team of colleagues from Fairfax were of great interest to people during the 2017 Arlington Bioblitz. Photo by A. Abugattas, Capital Naturalist blog. 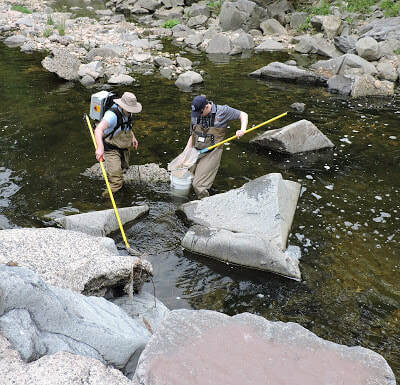 These type of biotic survey events can also offer great networking and public relations possibilities. Staff from neighboring jurisdictions and environmental groups have often assisted and provided their expertise for events. I myself have also assisted many other jurisdictions and groups in their bioblitzes, City Nature Challenge, or other events. This allows for good networking opportunities, sharing of knowledge, good will, and unofficially "talking shop." Media often take great interest in these of public events, as shown in the Voice of America video linked above and much coverage of ongoing citizen science events. Become a Virginia Master Naturalist Volunteer in 2019! 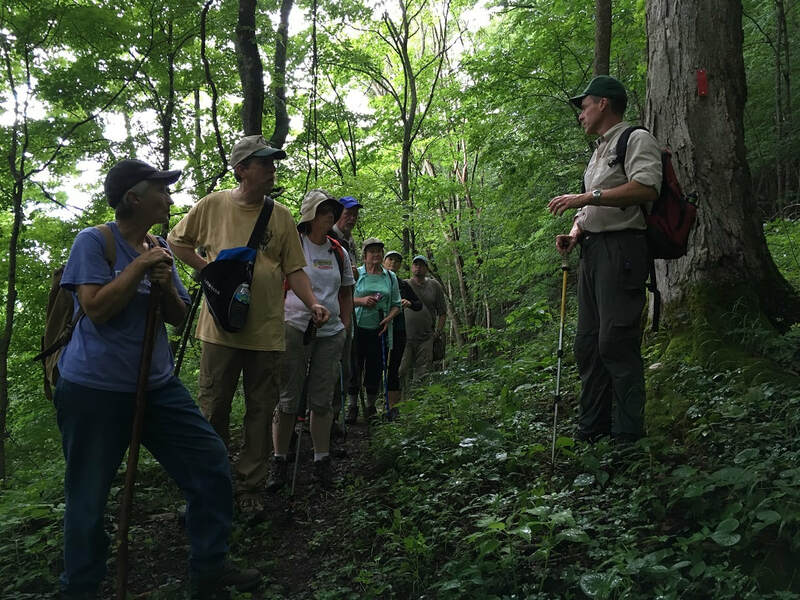 Virginia Master Naturalists learn about plant communities at Cleveland Barrens Natural Area Preserve in Russell County, VA. Photo by April Addington, VMN-High Knob Chapter. New VMN trainees in Arlington compare a newly restored stream to an eroded stream at Zachary Taylor Nature Area. Photo by Geneviève de Messières (VMN-Arlington Regional Chapter).